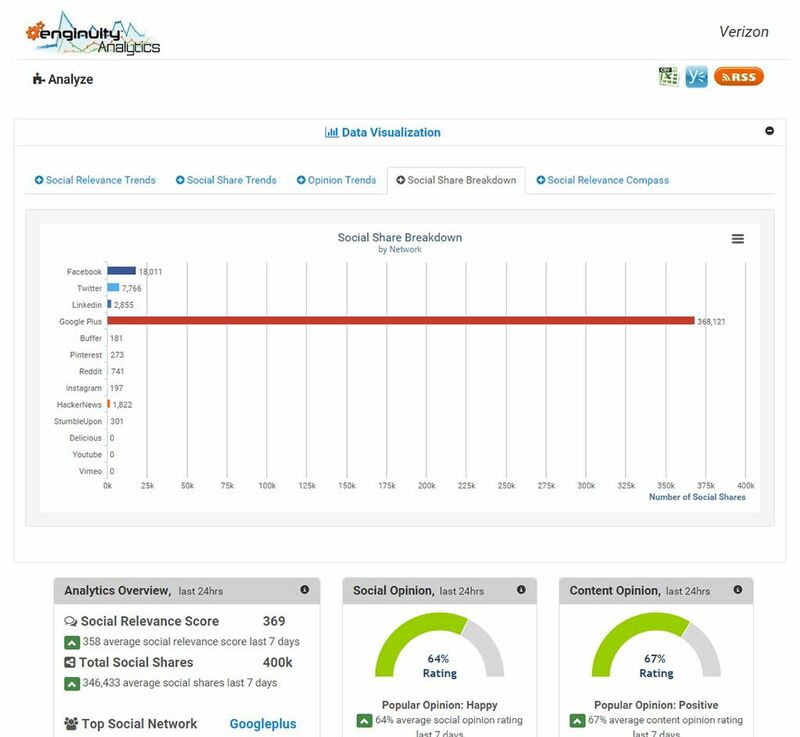 In a previous post we helped show you how to measure and compare the sentiment of your social media channels. Now we are going to help show you how to easily discover your brands best content (earned media) and curate it to a larger audience for an additional boost in brand awareness (social relevancy) using Native Ad networks like Outbrain and Taboola. 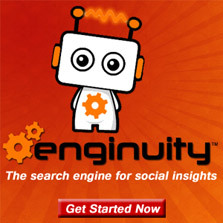 1) Sign up for an account with Enginuity Analytics. 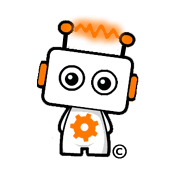 If you haven’t done so already, sign up for an account with Enginuity to creating your first analytics campaign for free. 2) Create a new analytics campaign. 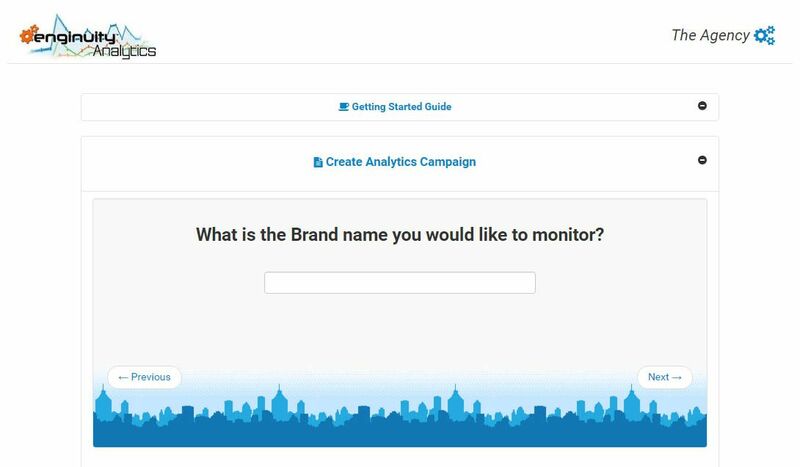 From the Analytics dashboard open the create campaign wizard to get started. 3) Select the Brand to montior. 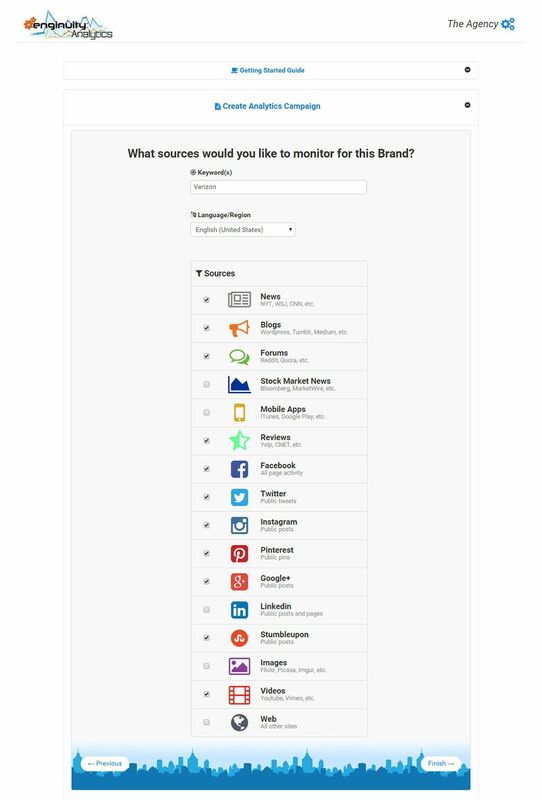 Select and enter the Brand name you want to monitor content for. Select the media sources you want to monitor and discover content regarding the Brand name. Choose from many different sources which include social media networks, news media, images, videos, blogs and more. Once you have successfully created the analytics campaign you can start analyzing the data to discover which content elicits emotional responses that drive your audiences purchasing activities. Start by filtering, sorting and tagging this engaging content. Next once you have a good list of content tagged, filtered and sorted you can export this data feed by clicking the RSS button. Save the unique URL of the RSS feed that opens. Next it’s time to sign up or login to your existing Outbrain account. Once you have logged into your account click on the “My Campaign” menu option. From here you can select the “Create New Campaign” button to start creating a new campaign to amplify your content. In the first step select “Using RSS” and paste-in the unique URL you copied in Step 6. 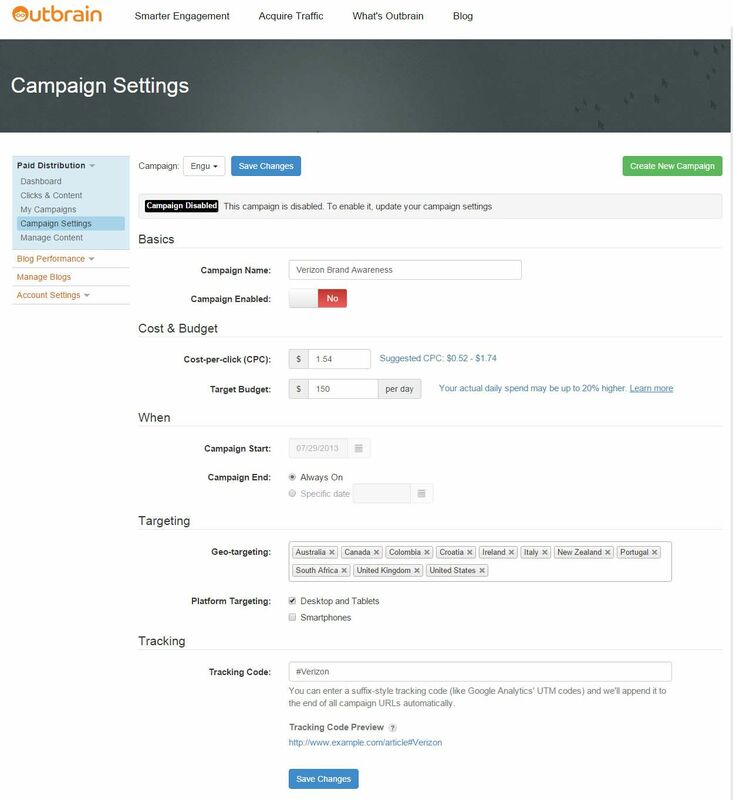 Next follow the instruction to set your budget and targeting options for the campaign and begin promoting your content. Next it’s time to sign up or login to your existing Taboola account. Once you have logged into your account you can create a new campaign and begin importing your content via their RSS feed feature similar to the Outbrain step. With the content now successfully imported into each Native Advertising networks (Outbrain and Taboola) you can begin creating different Ad campaigns that will target and promote this content to a larger audience on premium publishing sites. As your campaign is running you can start to monitor the success of your promoted content through the different metrics the Ad networks provide and additionally measure the impact in brand awareness and influence across social using Enginuity Analytics.